Opto Engineering takes serious care of the quality control of any of its products, by means of advanced and specific testing instruments. We guarantee that 100% of the lenses we deliver meet or exceed our written specifications thanks to our state-of-the-art quality testing systems. Each lens is checked by an experienced operator who measures the main optical parameters, combining strict laboratory procedures with the old craftsmanship still needed for precision optical testing. Our telecentric lenses and collimated illuminators are delivered with their own optical test report proving that all the performance standards declared are met: magnification, radial distortion, trapezoidal distortion, telecentricity and resolution. We also store several test images acquired with each lens we supply to be able to track down any kind of problem that may occur. Opto Engineering pays great attention to quality control management by continuously investing in the development of testing instrumentation and personnel training: as a result, we haven't received any complaints about the optical quality of our products to date. 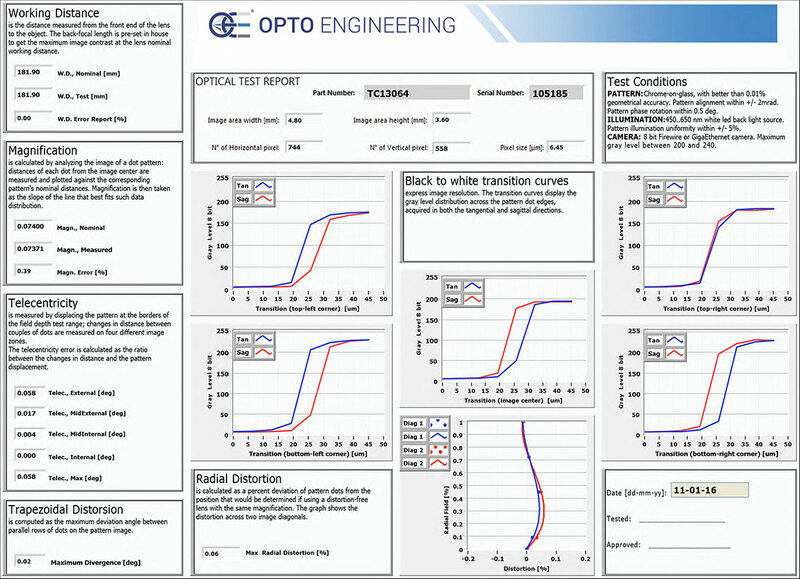 Opto Engineering has developed reliable test procedures for our quality assurance and high end instrumentation specifically designed for bi-telecentric lens testing. 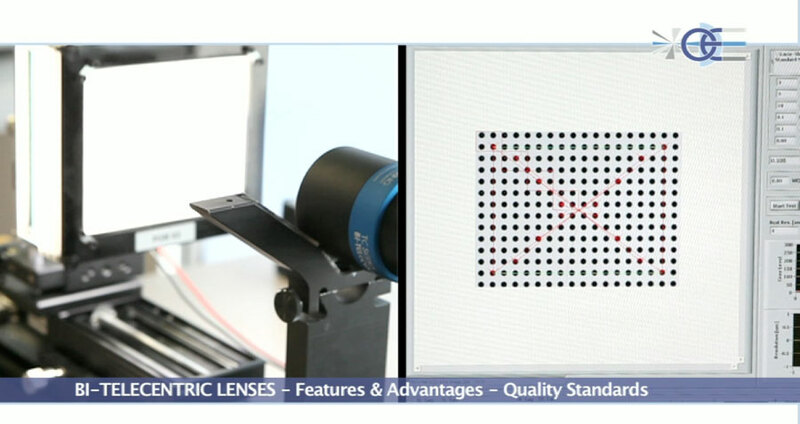 Besides our own standard QC instrumentation, we designed and developed a special optical test bench, integrating top-notch components and providing leading-edge optical parameter measurement and analysis. By means of this system we are able to undertake special projects, where highly demanding optics are needed and a scientific measurement of optical parameters must be performed.